Vacation Rentals Property Search - Search for vacation rentals online by date, type, bedroom, location and other amenities here. Check availability online today! View Alphabetically - Search for properties alphabetically. Myrtle Beach Property Reviews - See what others have to say about past Myrtle Beach vacations. What to Pack for your Myrtle Beach Vacation - A helpful list of items you don't want to forget! Myrtle Beach Vacation Specials | Rental Specials - Check here for last minute deals to seasonal rental specials and save with Elliott Realty! Property Management Companies in Myrtle Beach SC - Managing vacation properties for over 50 years and counting. Special Occasions - Myrtle Beach is the perfect destination for any special occasion. Worship at the Beach - All religious groups welcome in Myrtle Beach. Family Reunions - Plan your next family reunion in Myrtle Beach today! 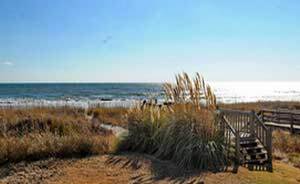 Romantic Escapes - Myrtle Beach is a great spot for a romantic escape. Weddings - Getting married? Plan a wedding in Myrtle Beach! About the Area - All information about the area of Myrtle Beach, South Carolina. Things To Do - See our list of suggestions for things to do in Myrtle Beach. Water Sports - Myrtle Beach offers an array of water sports. Area Attractions - See why Myrtle Beach, SC is a unique destination. 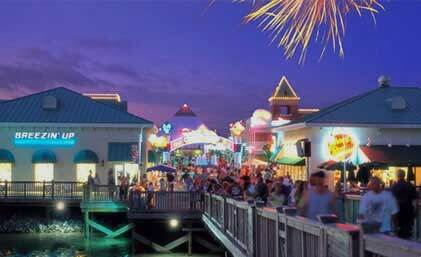 Shopping - Shop until you drop in Myrtle Beach! Dining - We have everything from seafood, to fine dining, to your All American cuisine. Fishing - Myrtle Beach is a great location for a day of fishing at sea. Entertainment - Live theaters, amusements, and more! Girlfriend Getaways - Gather the girls for a mini weekend or long week in Myrtle Beach! Pet Friendly Info - Don't leave your dog behind on your next vacation! Staff Recommendations - See our list of recommendations exclusively from the MBVR staff. Getting Here - Check here for detailed driving directions to our six Myrtle Beach rental offices. Local Rules & Regulations - A list of Myrtle Beach local rules and regulations. Safety Tips - Learn how to stay safe on your Myrtle Beach vacation. The History of Myrtle Beach - Find out how Myrtle Beach dates back to the Civil War era. Follow Myrtle Beach Vacation Rentals - Stay connected with us on social media! Rental Policies - See our MBVR vacation rental policies. Frequently Asked Questions - Everything you need to know concerning Myrtle Beach. Contact Us - For further information regarding our rentals please contact us via phone, fax, email or simply fill out the online form.